Hello new shorts, i bought these yesterday on my shopping trip with Sam, i've posted the other items i bought below to show you! So, this outfit to makes me think of a jockey/horserider.. whatever you want to call them. Totally accidental, but it works. Can imagine myself sitting on a horse, helmet on and whip in one hand in this specific outfit. The sheer shirt was my Grandma's, and is quite big on me, but i like the baggy look, so it's perfect! 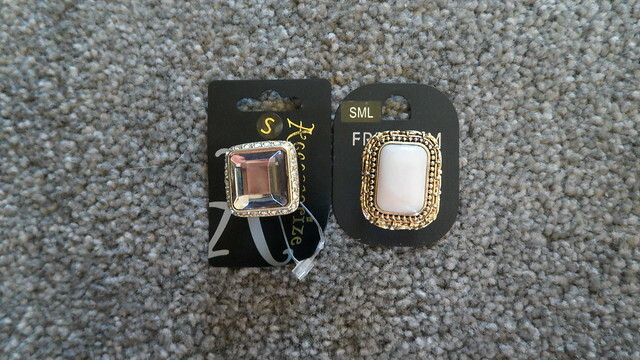 Absolutely adore the ring too, love chunky vintage-y rings! 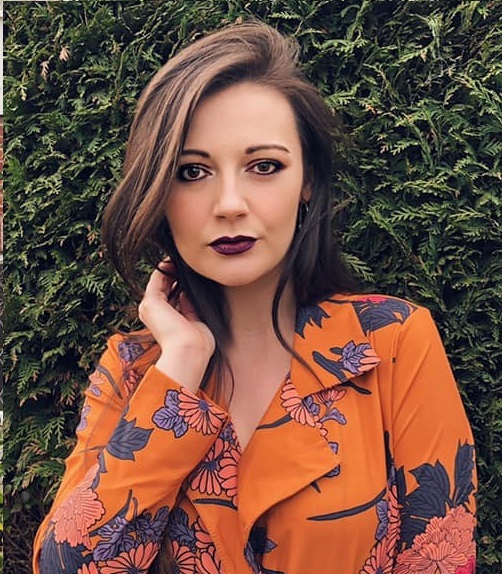 I like to dress quite classy, theres usually always a smart element incorporated into my outfits if i'm leaving the house, unless i'm ill, and then a jumper and leggigns suffice. Dark beige cord shorts, i seem to be wearing shorts a lot recently with a pair of tights, so when i saw these i just had to have them. The colour's soft, so another great colour for summer. 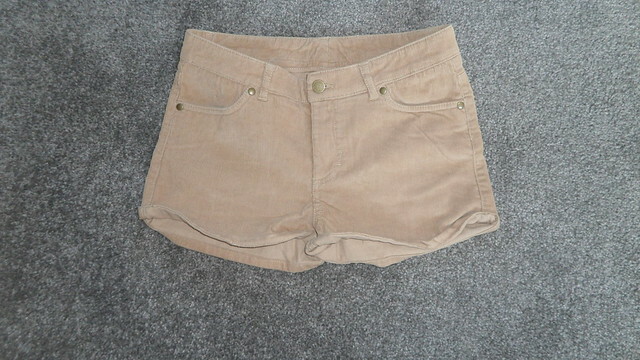 Definately going to get my monies worth of these shorts, i know i'll be in them alot. 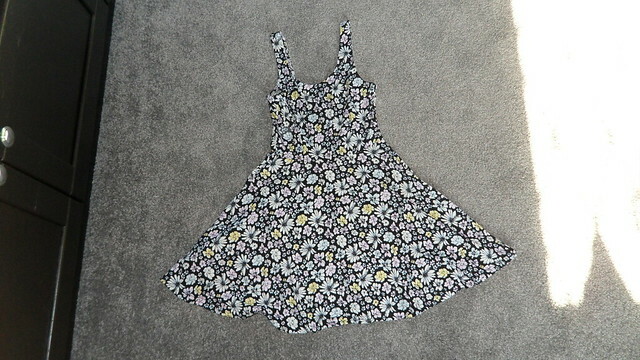 Patterned long smock top/short dress. Could possibly stretch it down a little more and wear with a pair of extremely dark black tights. SO cute. It is very short though, so for security i would probably wear a little pair of black shorts underneath it. Really girl and feminie. 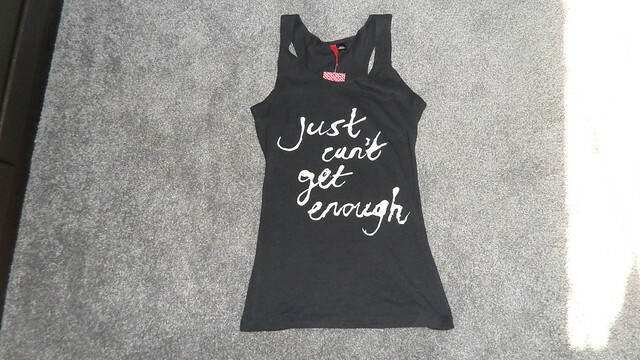 'Just can't get enough' slogan tee. I usually don't buy tops that have writing on, i like simple things, but i really like this top. It's different, and sits really nicely. 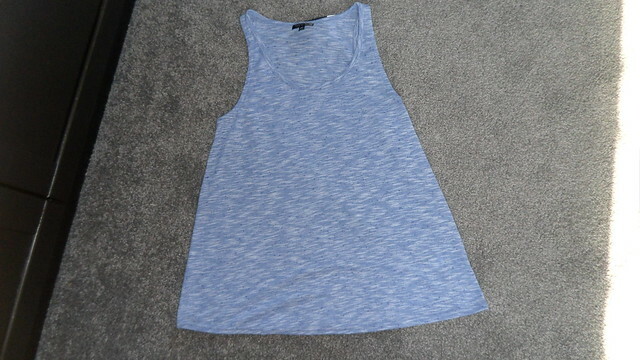 Would look good with jeans, shorts and skirts. Lovely jubbly! Two gorgeous rings. Both quite chunky qith that vintage theme to them. YAY. I've decided to create a new formspring for blog purposes only. Feel free to ask me questions/advice or anything. I post all answers on my F.A.Q page. Enjoy the sunshine again UK'ers.. hope you've got nice weather in other parts of the world too! I love love love your shirt & ring. So cute! I love your blouse, the sleeves are cool. Your nail varnish totally works with the outfit too! would love it if you followed back! Loooove your outfit and all the new buys! thanks for the sweet comment, and i really like this outfit! love flowly & silky tops! Such a lovely outfit.I love shorts at the mo too. They are just so adaptable. Will deff be following you too, you have a lovely blog! the shirt is very gorgeous and that ring is really nice. Love the outfit. In love with that white blouse!! Those rings are gorgeous! The blouse is so pretty, I love how it goes with the tan shorts! super cute!! love the rings!!!! Loveeeee those rings! :} very jealous of them! LOVE the white black and biege combo!! Great blog by the way :) Follow each other? Also, come enter my skull bracelet giveaway! Great buys. I love your shirt! i love the neutral colors here, and those rings are great! wow, you have great taste.. love the shorts!